High impact page takeovers that maximize awareness and response rates. 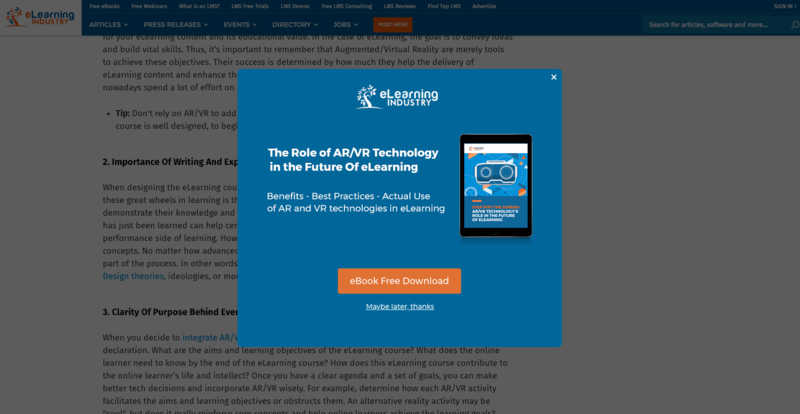 Deliver highly targeted pop-up ads that eLearning professionals see while browsing our L&D-related pages. Drive traffic directly to your most converting pages (free trial, demo, consultation call, or even gated asset pages). Boost your brand awareness showcasing your message to eLearning Industry’s +647,000 monthly visitors. Send us your artwork in a .psd format, at least 8 days before the scheduled date of your campaign. Our team will review and prepare the final pop up banner campaign. 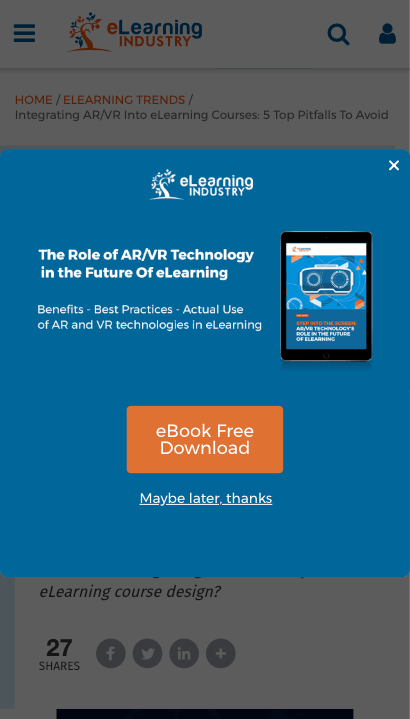 We will be running the pop-up banner campaign for 5 weekdays (Monday to Friday) across all website pages that are relevant to Learning and Development, Instructional Design, Corporate Training and other high-value eLearning topics.